The majority of Filipino internet users and media groups opposed the passage of the Philippine Cybercrime Law because of provisions that potentially curtail media freedom and other civil liberties. But prior to the insertion of online libel and other last minute amendments, the bill was actually quietly supported by many people. In fact, it remains popular among business groups, computer security experts, and advocates of safe cyberspace, even after the Supreme Court issued an order to suspend its implementation for the next 120 days. Precisely the purpose of the law is to protect our citizens from unscrupulous and abusive actions of misfits and the wicked in society. We see massive cyber fraud, state-sponsored terrorism, telecommunications hacking, credit card scams and consumer schemes that the State is mandated to investigate and prosecute. 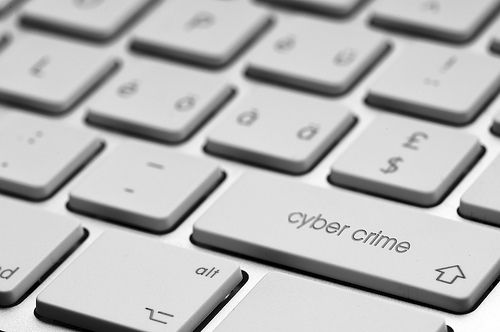 There is no doubt that cybercrime is a global crime that requires immediate and adequate response. The number of incidents and the ease of hacking government websites only show the vulnerability of our country’s ICT framework and prove the necessity of a cybercrime law to protect us against criminal syndicates and transnational organized crime. The Cybercrime Prevention Act was enacted by Congress to address legitimate concerns about criminal behavior on the Internet and the effects of abusive behavior. We would therefore like to point out that no government entity has moved to deprive anyone of access to the Internet or to suppress civil liberties as exercised online. In fact what has taken place is that hackers who claim to be aligned with critics of the Cybercrime Act are the ones who have engaged in online vandalism, depriving the broader public of access to much needed government information and services online. The Cybercrime Prevention Act will help sustain and enhance investor confidence and strengthen our position as one of the world’s top locations for high-value IT-BPO services. The Cybercrime Prevention Act is meant to provide the resources and legal framework to identify, prevent, and impose punishment for Internet-based crimes and safeguard users’ online information from unauthorized data collectors. Because IT-BPO firms utilize the Internet and computer technology as the principal channel for communication processes, the industry will benefit from provisions covering system and data protection, device security, and penalties for computer-related offenses. Outsourcing is touted as a sunshine industry in the Philippines. It employs more than half a million young workers and contributes about $13 billion to the local economy. It is saddening that the law intended to curb evil acts in social networking today is the focus of attacks by groups which claim that human rights are going to be violated. Give a chance by implementing the law to realize its positive intent. We have long clamored for a strong law to apprehend ‘cybercriminals’. A Cybercrime Prevention Act is necessary, but must not be oppressive. Republic Act 10175 is oppressive and dangerous. It demonizes the computer user and extends its tentacles to a computer user’s freedom of expression and speech. In an age when decriminalization of libel is the trend, this law makes a fatal step back, toward the vault of archaic policies that cannot be made to apply to the modern man operating in a modern world. Let me just point out the fact that we need a Cybercrime Prevention Act. Except for certain problematic provisions, this law is necessary. right that we should have a cybercrime law but not this ra 10175 which is illegal,oppressive, anti-rights,intrusive to our privacy,illegal seizures,double jeopardy and anti freedom of speech.